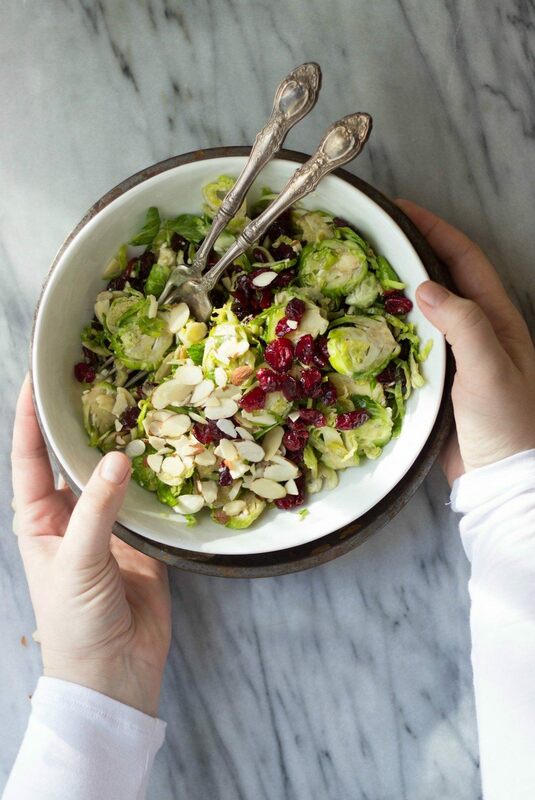 Place Brussels sprouts, dried cranberries, sliced almonds and feta in a medium bowl. In a small mixing bowl, whisk together vinegar, Dijon, honey, olive oil and salt and pepper to taste. Pour dressing ingredients into the bowl and toss to combine.